On it, some icons of Canuckism: a beaver, moose, Muskoka chair, a flag, an “eh”, plus Timmy’s coffee cup and Timbit box, among some other icons. Allow Full Access: Full access allows the developer of this keyboard to transmit anything you type, including things you have previously typed with this keyboard. This could include sensitive information such as your credit card number or street address. What!?! By installing this charming passtime I was potentially giving the developers access to my home address and credit card numbers? I decided not to install the keyboard right away, as I felt like this I was giving away my firstborn in exchange for a handful of cute emoticons. But I was curious, so I decided to ask Tim Hortons what gives. 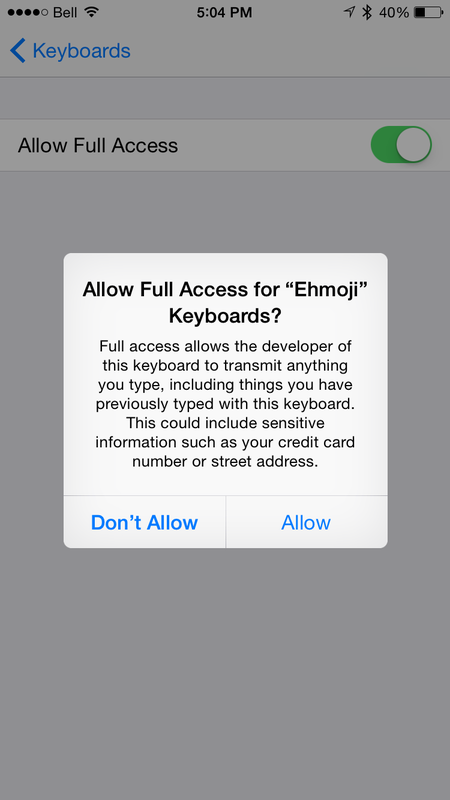 This message is a standard warning that Apple requires for all third-party keyboards and apps. To enable the App, a user must grant Full-Access in order for the keyboard extension to function properly. With this access we can download the latest emojis. While we do track anonymous data such as the number of times a Moose Ehmoji is shared, our App does not collect, store or transmit any personal information such as credit cards or any typing information. So despite what the warning says, that’s not at all the case? Seems like an awfully dire warning for it to have no merit. But trusting the information I recieved from the fine folks at Tims, I decided to push on with the installation to see what I might be missing. Turns out me, and some other users are rather underwhelmed by this tool. For starters, it does not work like a regular Emoji keyboard, in that you can’t simply tap on the icon, and it gets inserted into your text. You need to tap the icon you want, the app then copies it to the clipboard, and then you need to paste it into the message field. So it takes extra steps, and clearly doesn’t work like a standard emoji. Second problem; the icons are about three times the size of a standard emoji. WHY, Tim Hortons, WHY? This is perhaps the dumbest part of this app. It takes up so much space to send one emoji, and it forces you to split your message into many parts depending how many EHmojis you text. While there are some people loving it, I’m not one of them. Perhaps that is due to an iPhone/Android compatibility issue. I’ll go back to Tim’s and ask. I’m also going to ask if they plan to work the bugs out for future versions. For now, count me out of the EHmoji fad, eh? Liked it? Take a second to support Erin Lawrence on Patreon! 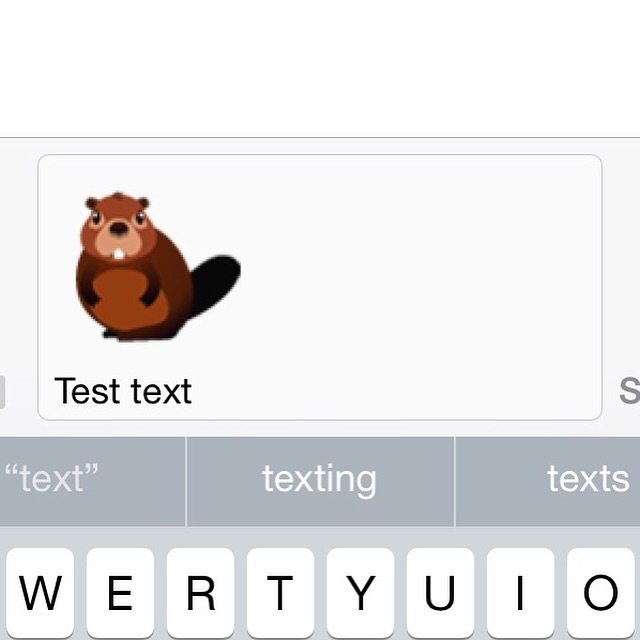 Forget about the taco emoji. We've now got a devil horn emoji. That is all.